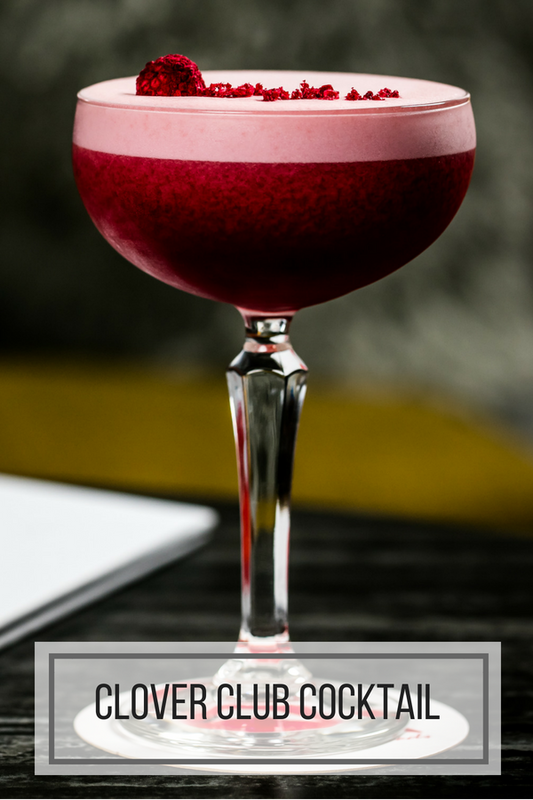 A feminine fashion forward cocktail, both sweet and citrusy, the Clover Club Raspberry Gin Cocktail marries Bombay Sapphire Gin with a bit of Lemon, Sugar, Whites, and Raspberry. This beautiful cocktail was shared with us from the QT Queenstown designer hotel in New Zealand. Learn how to make it in one of Reds Bar Cocktail Masterclasses at QT Queenstown, or try your hand at mixing it up yourself at home! Dry shake all ingredients then shake with ice and strain into a Coupe glass.